Crystal entered the Banking Industry in 1999, which has given her many years in working with people in diverse professional banking settings. 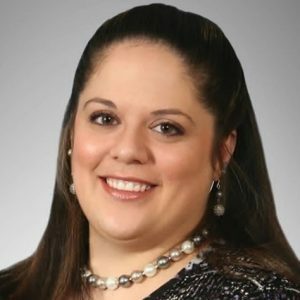 Crystal joined Catskill Hudson Bank as VP of Branch Administration in 2016 to leverage her leadership experience within a banking environment that has a strong community presence. Crystal is visible in the community, currently serving on the Board of Trustees for the Spectrum Services as President, and Treasurer of the Board of Trustees for the Ulster Co. Regional Chamber of Commerce. She is a graduate of the Ulster County Regional Chamber of Commerce Leadership Development program, and a Pattern Fellow from Hudson Valley Pattern for Progress. She lives in Hurley, NY with her husband and daughter. Crystal’s leadership experience, personable disposition, and approach for opportunity and discovery make her an important part of the sales and service team at Catskill Hudson Bank. When Crystal was ready to serve the community she lived and work in, she began to look for organizations that could benefit from her leadership experience. Although she didn’t have a personal connection to autism, Crystal asked to tour Spectrum Services, and was immediately touched by the experience, knowing she had found something she could really be passionate about, knowing she just had to be part of this. Crystal joined the Board of Trustees, and since then has risen to Board President. One of Crystal’s favorite parts of each board meeting is when Program Director, Jamey Wolff, shares student success stories and letters from parents with the board members. During this sharing, perhaps Jamey will explain how a non-verbal student is now using their first words, or maybe Jamey will read a letter from a parent who’s grateful to the school’s staff for reaching through to their child where nobody else could. These stories have become Crystal’s personal connection. It focuses her attention on the work done at Spectrum Services to ensure that this school will continue to be here for as long as a single child in the Hudson Valley needs us. Crystal feels blessed and fortunate to be part of our Spectrum Services family, and is proud to play a vital part in our mission of brightening the lives of people with Autism.